Dimensions of Mirror: 110 x 90 cm / 43 x 35 inches. 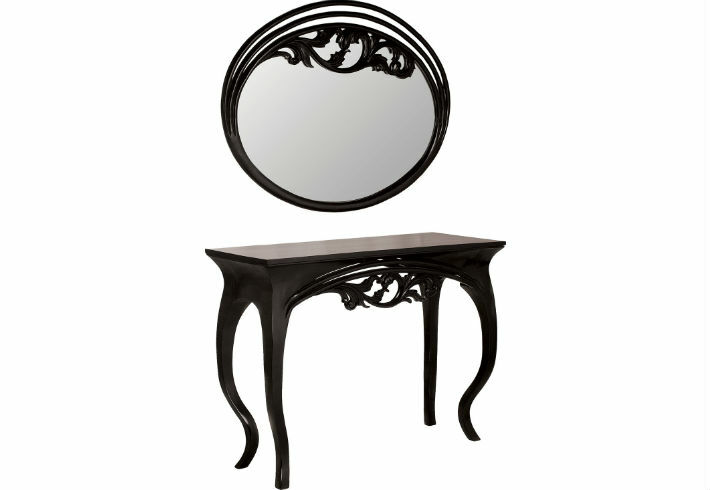 Dimensions of Console Table: 120 x 50 x 90 cm / 47 x 19 x 35 inches. Frame: Hand-carved and hand-finished wooden frame available in various finishes.